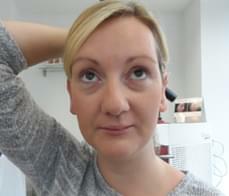 Having protruding or overly large ears can sometimes cause embarrassment and psychological distress. Ear surgery can correct minor deformities that make you dissatisfied with your appearance. The procedure variously known as Octoplasty, Pinnaplasty, or ear pinning is used to correct the size and/or placement of an individual’s ears to help achieve balance, proportion, shape and correction to misshapen ears. Most patients undergo ear pinning when they are between the ages of 4 and 14, because the ear is fully developed at the age of 4, and having the ear pinning performed sooner rather than later can help avoid adolescent teasing or bullying. However, it is becoming more common for adults to request surgical ear pinning, especially as the procedure is fairly simple and inexpensive. I am so delighted at having gone ahead with the procedure. The specific methods used in ear pinning can vary slightly based upon the patient’s’ needs and desired outcomes. Generally, an ear pinning involves making an incision in the fold behind the ear, removing some skin and/or cartilage and pinning the ear with permanent sutures. 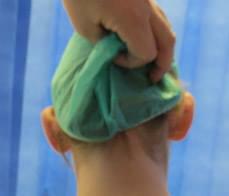 In some cases, the surgeon performing the ear pinning will remove a sliver of cartilage from the ear and suture the gap shut, allowing it to fuse together closer to the head. 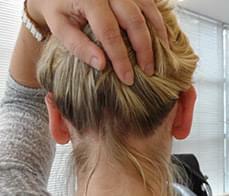 This technique can also be used to perform an ear pinning that reduces the size of the ears in addition to repositioning them. 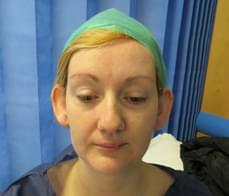 Complications from ear surgery/otoplasty are highly uncommon. However, all surgery, including cosmetic surgery, carries risks. Any potential complications will be discussed during consultation and you will be given a copy in writing.